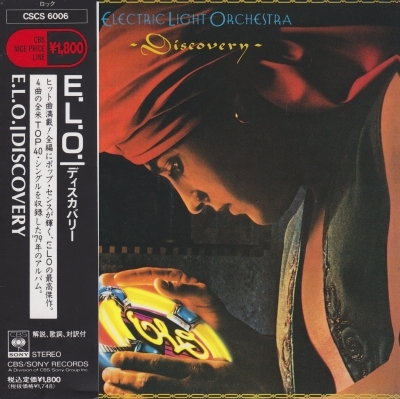 Electric Light Orchestra » Music lossless (flac, ape, wav). Music archive LOSSLESS. Music lossless download. Label: Epic. Made in USA. После альбома "Время" создать ребятам что-либо подобное конечно было тяжело, поэтому этот опус не получился таким же воздушным, как его предшественник. Здесь Оркестр Электрического Света представил нам песни даже более интеллектуального характера, чем на "Time", некоторые стали посложнее в текстовом плане, некоторые в музыкальном, но факт есть факт: этот альбом лондонцев воспринимается тяжелее, чем их предыдущие работы. Тем не менее, на диске полно запоминающихся песен, как всегда, с прекрасными и разнообразными аранжировками, многоголосьем её участников, кстати, именно то, что каждая песня исполнена сразу несколькими вокалистами, делает музыку ELO такой насыщенной и богатой. Отличный альбом, но уже не шедевр, как "Discovery" или "Time". Лучшие вещи на альбоме, пожалуй, это "Secret Messages", "Rock'n'Roll Is King" и "On And On". Рекомендую ценителям арт-рока. Label: Victor Entertainment. Made in Russia. 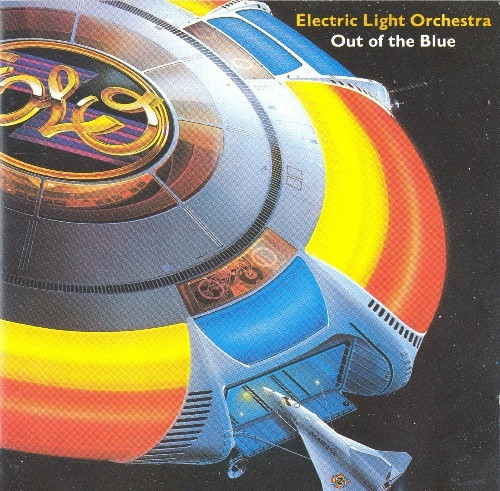 All Over the World: The Very Best of Electric Light Orchestra is a compilation album by the Electric Light Orchestra, released in 2005. 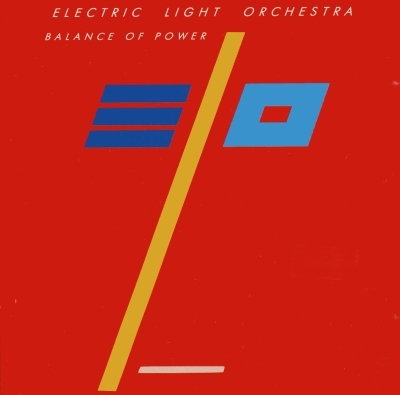 Originally released exclusively in the band's home market (the UK), the album sold very well, becoming the ELO's first Top Ten entry since Dino Record's compilation album The Very Best of the Electric Light Orchestra hit number 4 in 1994. All Over the World sold over 300,000 copies in the UK alone within a year and a half of its release. 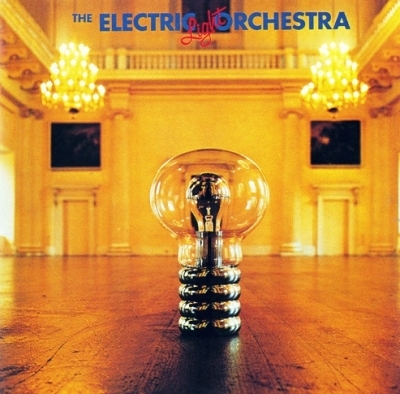 The albums The Electric Light Orchestra, ELO 2, Eldorado, and Balance of Power were not represented on the compilation. 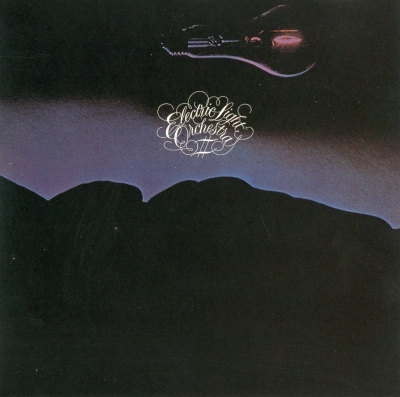 Label: CBS Records, Jet Records. Made in JP. The album contained five hit songs in "Shine a Little Love", "Don't Bring Me Down", "Last Train to London", "Confusion" and "The Diary of Horace Wimp", many of which were heavily influenced by disco (in fact, Richard Tandy came up with its well known nickname, Disco Very). Label: CBS Associated Labels. Made in US. Label: Epic. Made in UK. 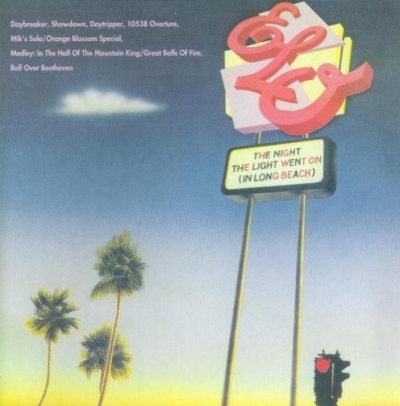 The Night the Light Went on in Long Beach is a 1974 live album by the Electric Light Orchestra (ELO) recorded at the Long Beach Auditorium on the evening of 12 May 1974 Long Beach, California, and its title lampoons "The Night the Lights Went Out in Georgia" by Vicki Lawrence from '73. Label: CBS Records. Made in UK. Label: Epic, JET Records. Made in AT. 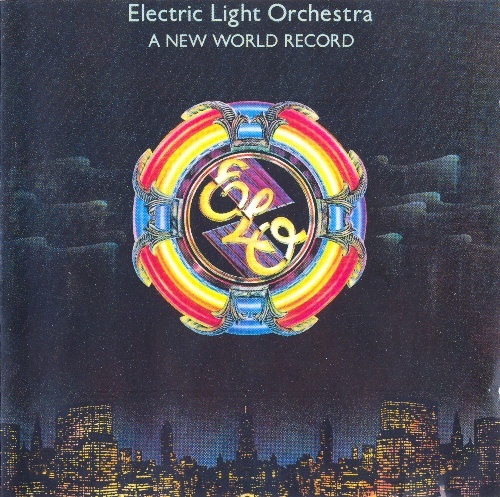 On the Third Day is the third studio album by Electric Light Orchestra (ELO), and the first to be recorded without input from Roy Wood. 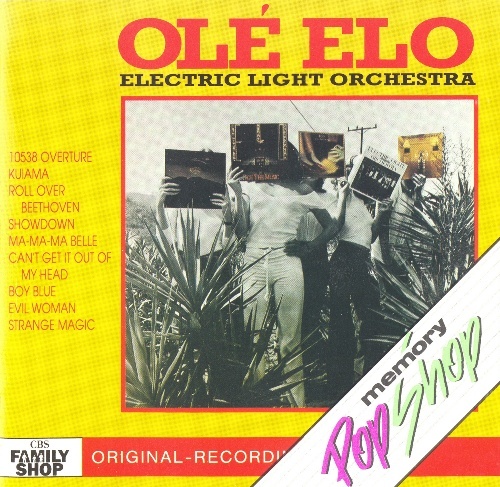 Label: Epic, Memory Pop Shop. Made in AT. 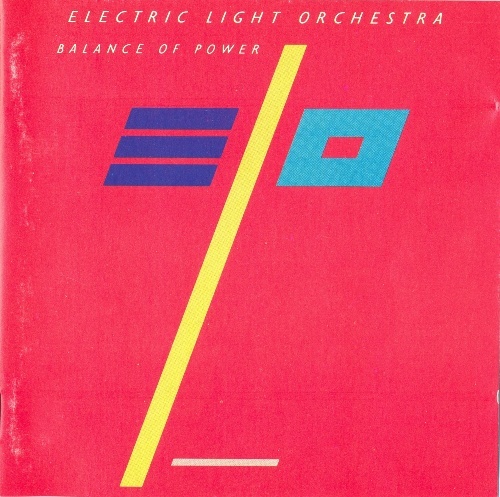 Olé ELO is the second compilation album by the Electric Light Orchestra (ELO) covering their early years. Released in 1976, this LP was originally compiled by United Artists Records as a promotional album for American radio stations, but when copies of the LP started selling to fans "underground" United Artists decided to release it in the US to capitalize on the band's growing popularity. Label: Epic, Jet Records. Made in US. 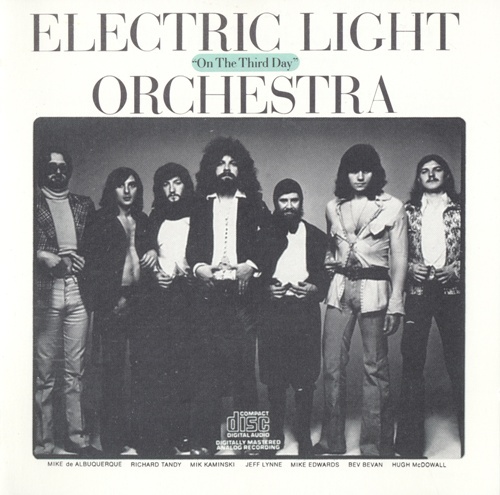 The Electric Light Orchestra is the debut studio album by English rock band Electric Light Orchestra (ELO), released in December 1971. In the US, the album was released in early 1972 as No Answer, after a misunderstood telephone message made by a United Artists Records executive asking about the album name. 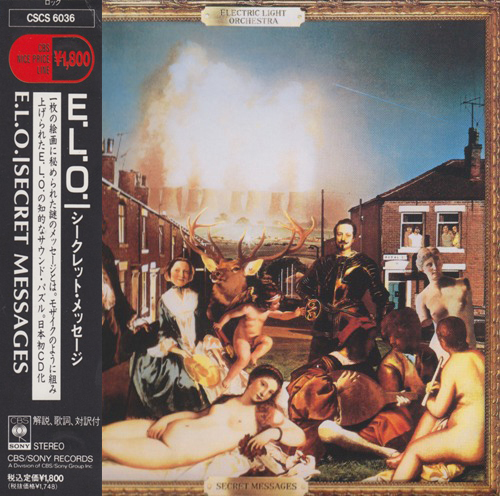 The caller, having failed to reach the ELO contact, wrote down "no answer" in his notes, and this was misconstrued to be the name of the album. Label: Sony Musicю Made in UK. 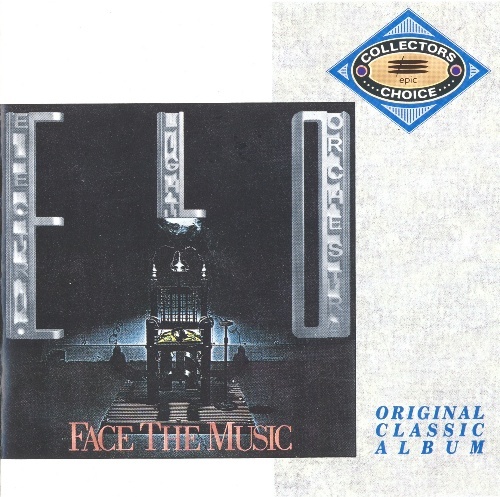 Face the Music is the fifth studio album by Electric Light Orchestra (ELO), and features a new line-up following their previous studio album, Eldorado.